Autumn is in the air. Every year it catches us by surprise when the leaves start to change colors and pumpkin-flavored lattes begin to make their long-awaited appearance on coffee shop menus. For us in the interior design world, it means it’s time to start cozying up the home for when the weather gets colder and guests begin to visit for (gasp!) the holidays! While it may not be time to go gift shopping yet, here are a few ways to start prepping your home for the new season and cozy up the house for fall! Colors are one of handiest design elements for creating a specific mood. To achieve that “all is fall” look you love, stick to warmer tones, like reds, golds and oranges. 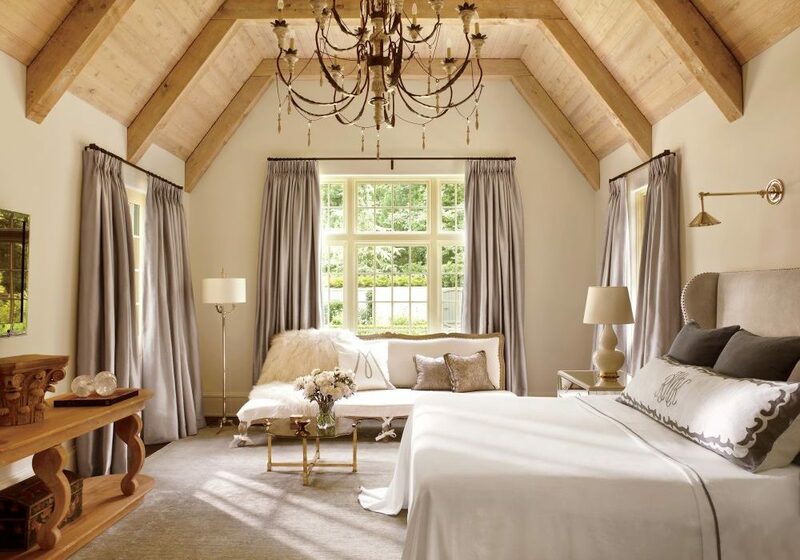 Some people find it hard to incorporate warm hues into their home, but it’s easy to add them in seasonally if you have white, cream or other neutrals as the main palette for your furniture, walls or bedding. Also, don’t be too afraid to try some dark colors in your space. “Rustic” and “farmhouse style” are trendy design styles year round, but they are especially popular in the fall due to their earthy tones and natural elements reminiscent of the fall. Think distressed reclaimed wood and leather if you’re in the need for a refresh. 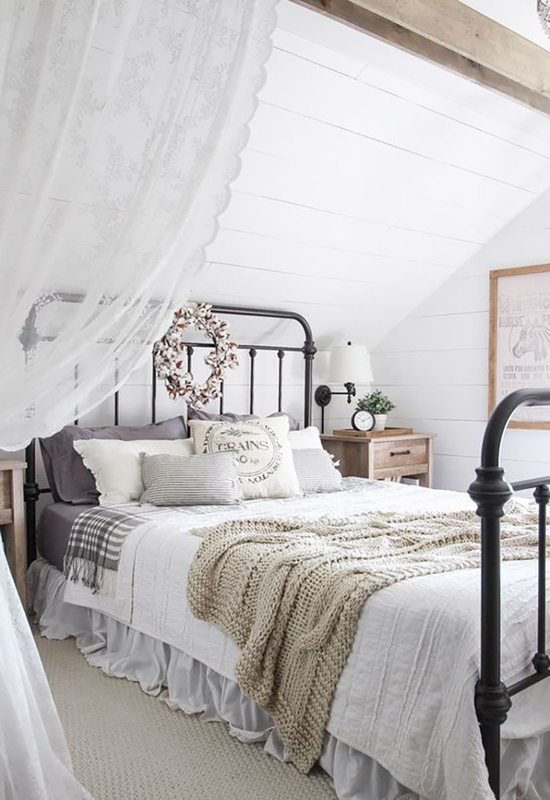 Your bed is the most visually impactful piece in your bedroom, so refreshing your bedding seasonal will have a great effect on the design of the room (and also give you that good “new look” feel). Fleece, velvet, cotton flannel, and silk are the most popular picks for chillier weather. At Kathy Kuo Home, you’ll find that several of our items are custom made-to-order pieces and can be upholstered in the fabric of your choosing. Upholstered furniture, whether it be a side chair or a bench at the foot of the bed, brings an extra level of softness and comfort to a bedroom. We also love to create a cozy spot where you can curl up with a book and blanket (read about one of our favorite cozy corners here). Indulge a little. Fur has a natural warmth and coziness that will feel luxe and perfectly snuggly on a cold autumn day. Not only are they great to cuddle in, but they’re fantastic eye catchers in a bedroom design! A fur (or faux fur, they’re equally as comfy!) 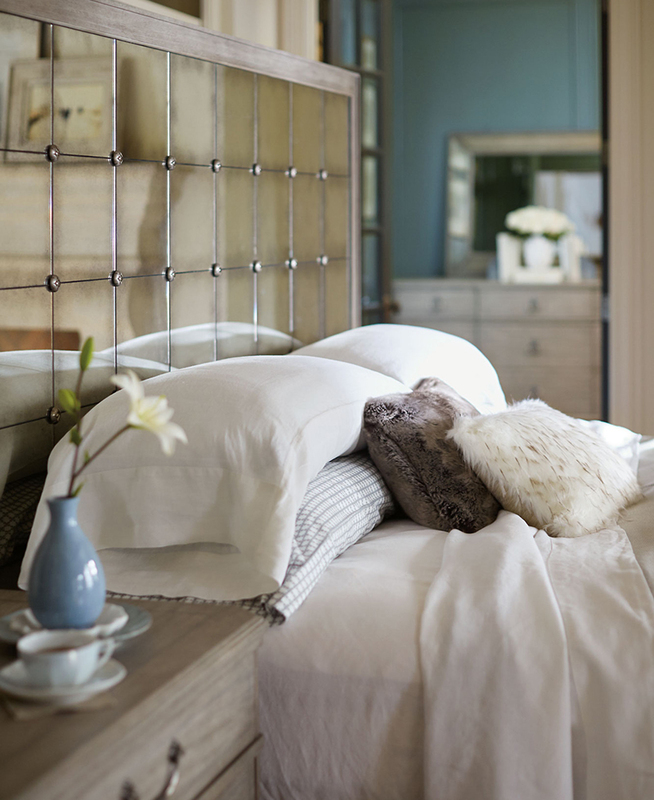 throw, draped over the bed, will add instant texture and fall moodiness to your bedroom. Or try a big, chunky knit blanket. If you have no experience, velvet can seem like a daunting material to work with in your bedroom design, but it’s an extremely versatile fabrics, it adds texture to your room, and it’s the perfect material for when you want to feel comfortable and warm. Read more about how to decorate with velvet on our blog, but in the bedroom, can get away with a little or a lot. 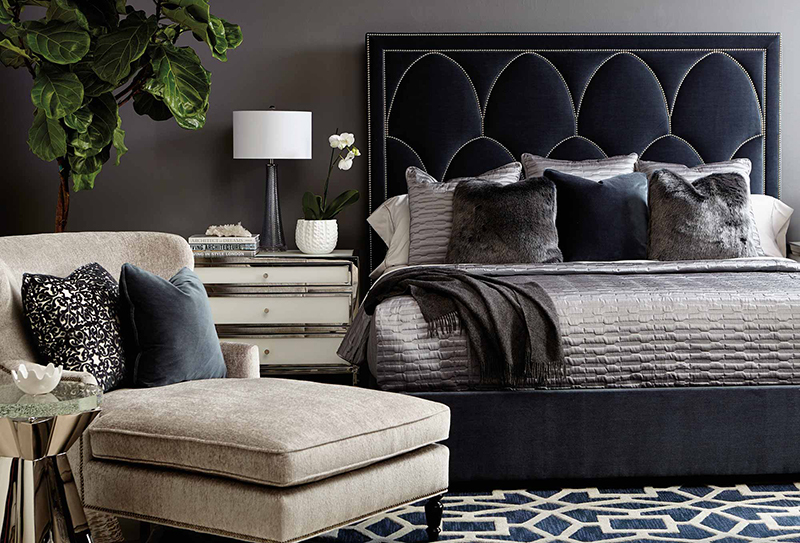 Go big by doing custom upholstery for a full velvet headboard, or just add some velvet pillow or an upholstered side chair for a soft place to sit.